I cannot remember how many now, but few have passed through my hands, a Silhouette, a couple of Sterlings, a Bongo and some Stingrays. I have a DD 'Ray4 HH, Don't know the number of previous owners, but I bought it from Mike (Caca de Cick). It's interesting to see how some of the people who were really excited about their Dargies no longer have them, shows how much things can change in two or three years. I loved the colour, and still do. At the time, I had a Rolls Bongo 4HH and so ordered the Dargie 4HS so I'd have a different pup config. At the time my main gigs were in a hair band tribute show and a blues band, and the HS didn't have the double barrelled sound that the HH provided. 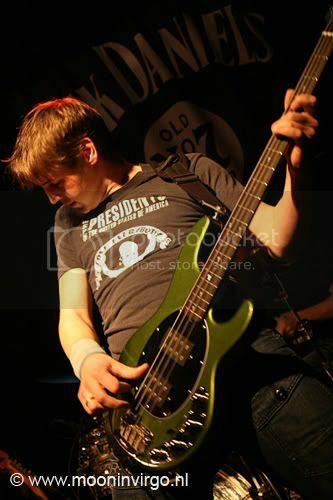 Since then I've added a Grease/Saturday Night Fever tribute show and a Stones tribute band to my roster, and in trying to rationalise the herd so that all my basses will get gig time, the Dargie was one of the basses who became a square peg. On a positive note, the Dargie Bongo 4HS has been replaced with a buttercream Bongo 4HH, which is a "traditional" enough colour to get regular gig time with me. Leon, it was a one owner, I bought it brand new on my birthday. 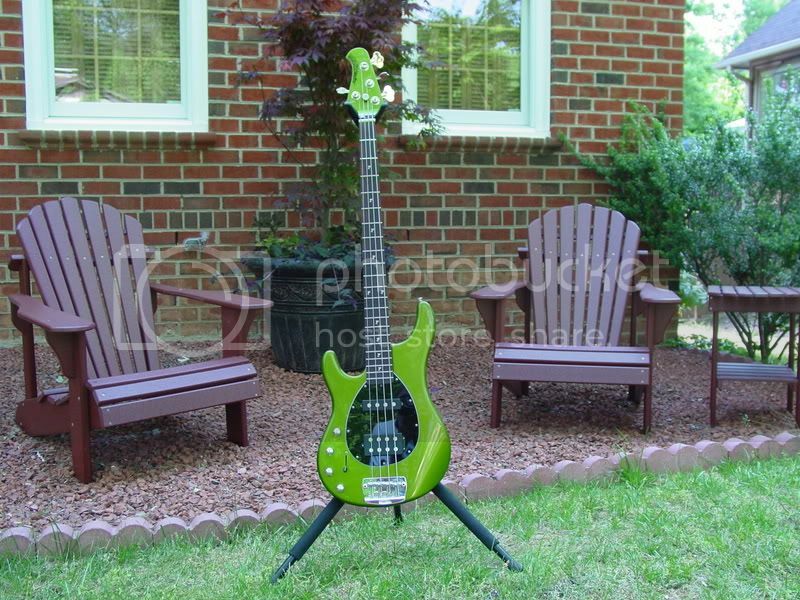 That is why it's an addiction The dream bass is always the next limited run. I played the heck out of my DD for a while. It even sailed halfway around the world with me. But it's been superceded by my 07LE which is a great player. If not for my DD's interesting history I probably would've cashed in on its 1 of 1 status and flipped it for something else. My first post here. It looks like I'm joining the DD ranks with my purchase of a used SR4 H from Tommixx @ talkbass. I owned an SR4 in the early 80's and I recently played one at GC and it felt/sounded great as I remember. It's just a bonus with the color and the martini inlays. My bands name is Cocktail Joe and our logo is green. Anyway, glad to be here after a long hiatus in MM land. I bought his Stingray 5H DD in the summer of 2007. Still have it, love it, and play it. Last edited by Grand Wazoo; 10-31-2009 at 05:41 PM. One of 4, unless there were other last-minute ones not included in that tally.